Outgoing President Juan Manuel Santos is possibly the best of all the terrible presidents Colombia has had. The South American country has a history of electing incompetent presidents, partly because Colombia’s electoral system is as weak and corrupt as the rest of the state system. Consequently, citizens have had to deal with oligarchical presidents that nearly drove the country to become a failed state or ended up converting the National Army into the country’s largest terrorist organization. Santos will be leaving office on Tuesday with a historically low approval rating he has earned. Street crime is higher than it has been in a decade. Cocaine production is higher than ever. Along the same lines he has denied the existence of far-right paramilitary groups that are butchering Colombia’s social leaders as if they were cattle and are terrifying journalists with death threats. Colombia’s authoritarian political culture allows the president to decide what is real and what is not, often defying reality itself. Santos has faithfully continued this presidential tradition, but he also leaves the presidential palace with a legacy all of his living predecessors should be envious of. He’s not a megalomaniac former Medellin Cartel associate like Alvaro Uribe, or got elected with Cali Cartel funds like Ernesto Samper. He also didn’t bring the country on the brink of becoming a failed state like Andres Pastrana or allowed Pablo Escobar to build his own prison like Cesar Gaviria. Instead, he disarmed the country’s largest guerrilla group, the FARC, and pushed unemployment and poverty levels to historical lows. He spearheaded a professionalization of government, effectively reducing the levels of neglect the Colombian state has become infamous for and is literally killing citizens. He decriminalized the recreational use of marijuana, defended equal rights for women and minorities, legalized euthanasia and defended his people’s lives abroad by repeatedly calling for new policies to effectively reduce drug abuse and drug trafficking violence. 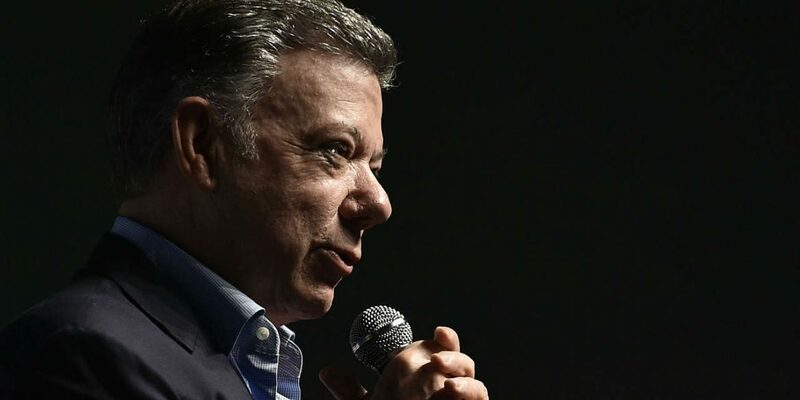 Santos didn’t “fix” Colombia, but he most certainly came a long way; he got the country into the OECD even, raising the bar of what is expected of his successors. Public opinion and I may think the outgoing president is a mediocre snob and just another terrible head of state of a dysfunctional banana republic, but history is likely to prove us wrong and will judge him favorably.